install Whatsapp on PC with Bluestacks, Youwave and other Android emulators. 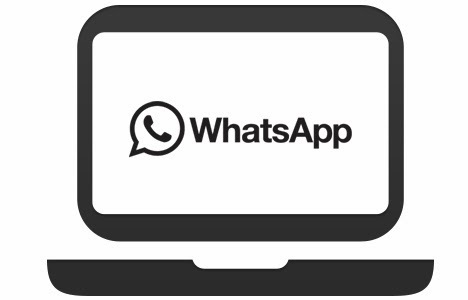 Since Whatsapp users are looking to use their favorite messaging app on PC we got a complete guide to help you Download and install Whatsapp on PC and use like you do on your mobile. Whatsapp was launched in 2009 and went on to become one of the most popular messaging app for smartphones with over 300 million active users, Looking at the popularity of this ultimate messaging app several mobile operators and telecom service providers have started introducing tariff plans and special packages for users. Many new messaging apps like Wechat, Line and Viber have been launched with similar functions to that of whatsapp and even BBM a popular messaging app for blackberry users has spread to other platforms like Android and Apple iOS but couldn't stop the surge of whatsapp in the mobile messaging arena. Whatsapp has recently introduced voice messaging feature to let people send and share voice messages with each other, Whatsapp has also been updated for iPhone featuring the new iOS 7 style flat design. 1. Whatsapp allows you to send unlimited number of text and multimedia(audio, video) messages for free the first year and just $0.99 a year after that. 2.Whatsapp automatically searches your phonebook to let you connect with your friends who are already using the app. 3. Whatsapp also supports group messaging and you can start a group chat by selecting a new group from the options panel and add people to chat with. 4. Whatsapp also offers international messaging for free. so, now you can message your friends no matter which country they belong to. Other interesting features of Whatsapp also include the ability to send whatsapp history to others and also automatic back up of your conversations. After successfully installing the software you can find whatapp either in the top charts tab or you can search for the app and install it directly. Now open the apk through bluestacks and install the app.